KOKOMO, Ind. — Curiosity, NASA's Mars rover, has captivated the country's attention since it landed on Mars August 5. Observatory open house for the "ring of fire"
This Sunday, area residents can learn more about Curiosity's mission at an open house hosted by the Indiana University Kokomo Observatory, from 8 to 11 p.m.
Patrick Motl, assistant professor of physics, will give a short presentation about Curiosity, also known as the Mars Science Laboratory, and its mission to investigate the Red Planet's habitability, climate, and geology, and to collect data for a manned mission to Mars. 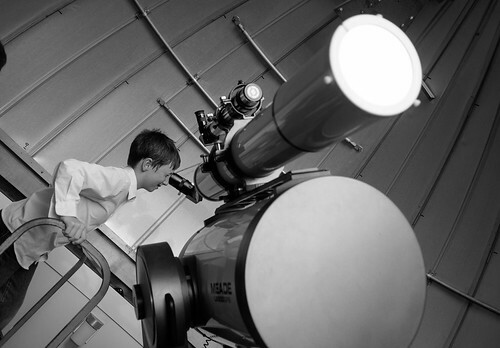 Stargazers may also view Mars through the Observatory's telescopes, which are a six-inch Takahashi refracting telescope and a 16-inch Meade reflecting telescope mounted together. The Takahashi provides exceptionally sharp images of planets, while the Meade lets stargazers see fainter objects in the sky, due to its larger light collecting area. Motl said Mars and Saturn will set shortly after sunset. Viewer may also see highlights in the summer triangle, such as the ring nebula in Lyra, a small constellation.